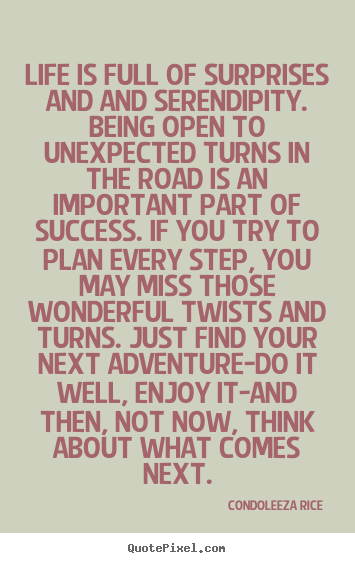 There’s Serendipity in Every step if you wish there to be. 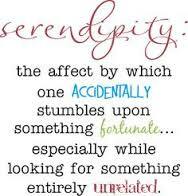 Serendipity means a “fortunate happenstance” or pleasant surprise “. It was coined by Horace Walpole in 1754. In a letter he wrote to a friend Walpole explained an unexpected discovery he had made by reference to a Persian fairy tale , The Three Princes of Serendip. The princes, he told his correspondent, were “always making discoveries, by accidents and sagacity, of things which they were not in quest of”. 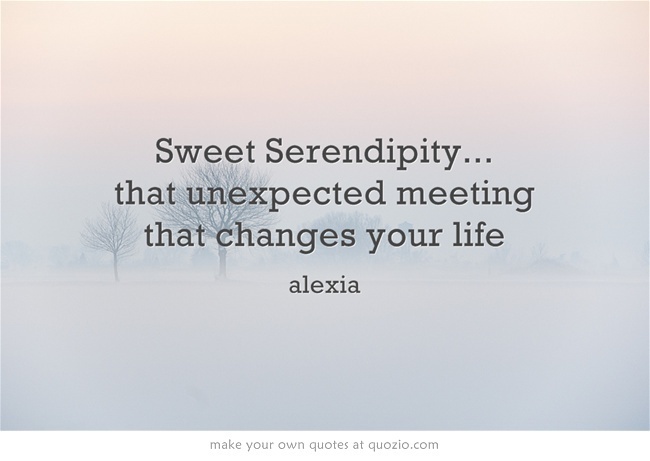 The notion of serendipity is a common occurrence throughout the history of scientific innovation such as Alexander Fleming‘s accidental discovery of penicillin in 1928, the invention of the microwave oven by Percy Spencer in 1945, and the invention of the Post-it note by Spencer Silver in 1968. 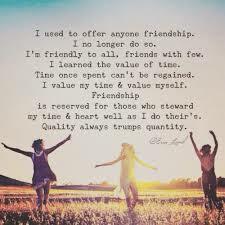 I recently made a very dear and special friend without there being any intention to do so on the day I met her. It has been a pleasant surprise that has transformed a part of my life that had been dormant for many a year. Here are the 15 quotes I have chosen on the matter with my insights into them. 1. I met my first real serious relationship when my friends younger sister sang you made me love you, I didn’t want to do it to me at her 18th Birthday. This was not an older man trying to hit on a younger women. It was pure serendipity at work. 2. At times it feels like you fall into things that matter most in your life. I became part of a running team that had the main street of Leningrad shut down on a Friday Afternoon in the name of Ending Hunger with the mayor and other dignities because we were sent to see the wrong person because of a language misunderstanding. 3. I chose this one because I do not know what it really means. Something like the classic song Pleasure and Pain by seminal Aussie The Divinyls : Lover, Lover. 4. Ser-uh n-dip-i-tee, they say English is one of the most difficult languages in the world to learn because it is said differently from how it is written, this would support that premise . 5. 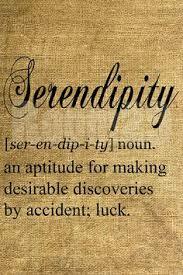 Do you have an aptitude for serendipity, are you one of the lucky ones. I think it is your positive attitude to life that increases the opportunities of it occurring. 6. Here we are, chugging along in life, going to work, coming home to eat and watch T.V., going out with our friends and then we meet a person who will transform that. My friend Barry met his wife on a debauched cricket trip to Sydney, which was 870 Kilometers from where we lived. Three $500 phone bills later at the demand of his housemates, me and her brother they reunited in Sydney and the rest is History. 7. The and and threw me a little. But listen to the message , you can’t plan your whole life, that reeks of perfectionism. Perfectionism is the booby prize in my eyes, stops you from starting many things in your life. 8. 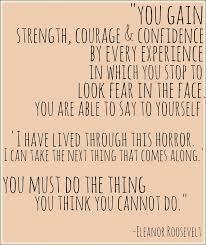 How often has you said to yourself: Self , now how did that happen but I am so glad it did. We do not always know that what we are looking for is the best thing for us. 9. 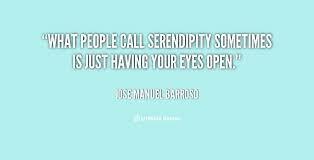 The more awake you are to the planet more and more times Serendipity will magically happen for you, I know this as my Truth. 10. 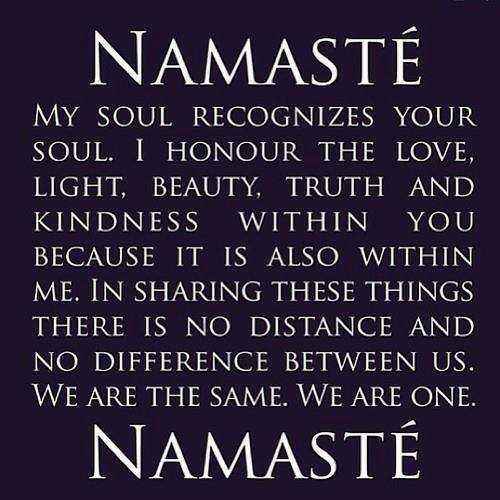 I recently read a book by my friend Tanishka which distinguishes between Soulmates , Twin Flames and Your Beloved. The first two you meet to learn from, the third is your destiny presenting itself. You don’t logically choose, your heart does it for you. 11. 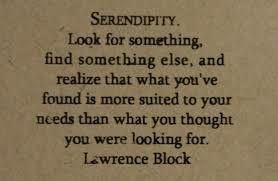 What does Serendipity taste and smell like? for me is is the scent of Spring, when all is awakening and the beautiful smell of fresh flowers and blossoms fill the air. 12. Often when Serendipity enters our life, our logical mind will reject it as a fearful path to travel down, Eleanor Roosevelt was considered a rebellious women, as she says do the thing you mind says you cannot do, that’s where the treasure lies. 13. 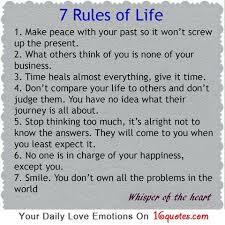 Rule number 5 is where Serendipity lives. I had spent years trying to know more to fix myself up. I recently starting doing Body and Breath work and my life transformed. Don’t wait 60 years like I did. 14. 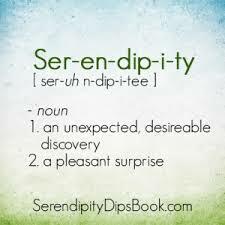 Serendipity does not live in the world of the Possible, that is the Arena of the logical mind. My friend Emeli did not meet Oprah Winfrey, The Dalai Lama and Sir Richard Branson by listening to the voice in her head that often says Who do you Think you are. 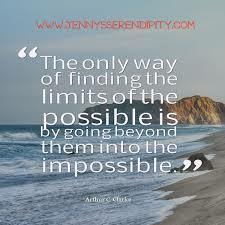 Set yourself Impossible dreams, they are the only ones that make a difference. 15. 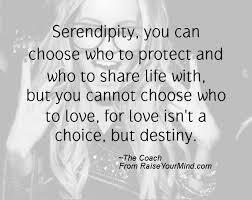 Serendipity can have you make new deep friendships in the most unexpected places. We know when they are a Special One, these are the people to focus your time on , as the quote says Quality always trumps quality. I am getting quicker and quicker at writing these blogs, my sister Jann , a research scientist spends hours on the information she uses in her blog Fire Up Water Down, which is about the elements and the profound influence they have on our lives. I’m a start typing and do the research via Google as I go type of guy. This entry was posted in Achievement, Australia, Daily Love, Danielle LaPorte, Earth, Empowerment, Enrealment, Europe, free humanity, freedom, friendship, Gabrielle Roth, heart, Humanity, Insights, Inspiration, Interculturalism, Jeffrey Slayter, kindness, Life shifting, Lists, Love, manhood, Mastin Kipp, Melbourne, Menergy, mens empowerment, Oprah Winfrey, philosophy, Positivity, quotes, Russia, self empowerment, Self Love, south America, Speaking Out, Sunday Assembly, Tai Chi, the daily Love, the pledge, The Tribe, Thea Westra, TheDailyLove, Transformation, United States and tagged abundance, Achievment, Australia, beagles, Collective Potential, Connection, Creativity, Danielle LaPorte, Dignity, Earth, eckhart tolle, Empathy, End Hunger, enrealment, Europe, free humanity, friendship, Heart, Hope, Insights, Inspiration, Interculturalism, Jeffrey Slayter, Kindness, Kundalini, Life Shifting, Lists, Love, Luck, Manhood, Mastin Kipp, Melbourne, Menergy, Mens Empowerment, Oprah Winfrey, philosophy, Positivity, Quotes, raw, Russia, Self Empowerment, Self Love, serendipity, South America, Sunday Assembly, Tai Chi, The Daily Love, Thea Westra, Transformation, United States by rodwill1707. Bookmark the permalink. 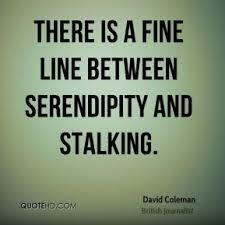 Serendipity plays a significant role in my blog on the elements Rod. It’s amazing what material or connections you find when you least expect it. The amount of background research I do varies depending on the subject. Google can be a very useful source of information, as your posts show. With the amount of ‘stuff’ on-line it’s important to separate the seeds from the chaff. Wise words, I believe some of your research time is spent in Tasmanian and Mainland Op Shops, I think I have been on some of these field trips as well. perhaps our family should set up an Op Shop Tour business, with accompanying drumming workshops on the bus. Some of my best material comes from Op-shops! For example, last year I came across a beautiful painted plate which (after doing some research) I discovered was an image of the Russian Fire Bird. The Fire Bird has strong elemental connections, which I wrote a post about. If I hadn’t found that plate I probably would be none the wiser about that important story. A business combining op-shops and drumming. Now there’s an idea!